Who would want such a dreamcoin like the Hero? Well, who would use a lightspeed digital currency that functions like an inflation proof certificate of deposit guaranteed to appreciate against the best of the world currencies by +5%? Who has their life savings currently deposited in retirement or passbook savings accounts earning near zero or even negative interest. Perhaps someone in the 38 million member American Association of Retired Persons (AARP)? Maybe my own mother? Nah, she’s more likely to be in the following category..
Who might be willing to short it into existence? Hopefully the community can find lots of ways to use this asset and it will attract other whales and dolphins to back more HEROs and in the process generate demand for more BTS to back them. Note that, if BTS is rising due to creation of HEROs, others may find it a no-brainer to short other bitAssets into existence. The HERO could wind up driving liquidity for everything else. Place your bets. 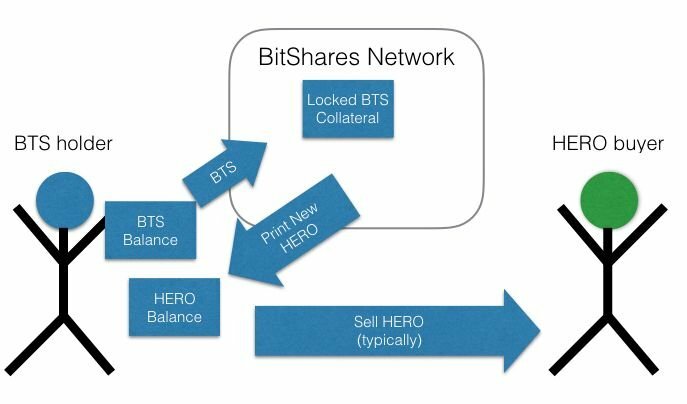 If you want to borrow a HERO, simply sign a smart contract with the counterparty free BitShares network. No one else is involved. Give those honest robots permission to lock up some of your BitShares as collateral and you get handed a brand new HERO to hold or sell. You now have an asset appreciating at +5% APR and twice that initial value appreciating with BTS. Go buy whatever you want with your double-collateralized HERO. Maybe more BTS? The HERO does not pay ‘interest’ or a ‘dividend’ but the value of each will, by definition, gradually rise over time (at +5% APR). It works the same as inflation…in an offsetting way. This also means that the HERO growth should be treated as capital gains, not income, which is often taxed a lower rate. The HERO can not only be backed by individuals who want to borrow them, but also by businesses that see the value of an internationally accepted currency with rock solid predictable value. The first business to support this currency will be BitShares itself. Not because HERO is run on the BitShares platform, but because the transaction fees paid in BitShares lead to a profitable company eventually. 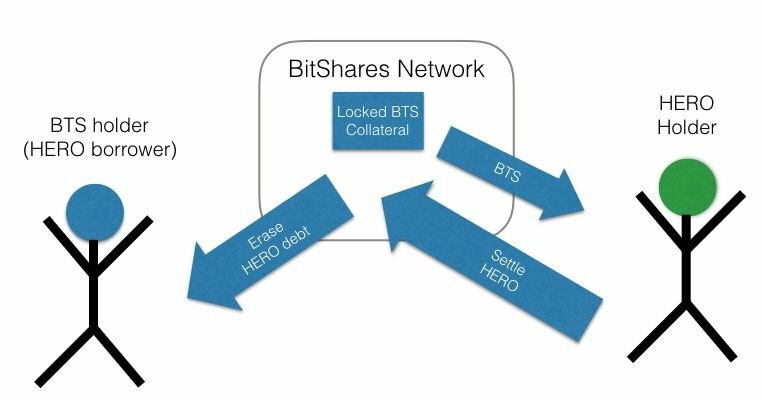 If markets react rationally, and BitShares profits by at least 2.5% a year, HERO borrowers don’t even need to update their collateral position since the backing equity shares (BTS) appreciate sufficiently to back their HEROs. and increasingly from BitShares network profits approaching full scale.The HERO is a new generation of privatizing international money, uncoupling money from the power and abuses of governments and their masters. It’s business money made by businesses for use by businesses. Shorting Confidence. If there is great demand for the HERO, speculators will fill it by locking up BitShares to borrow HEROs from the network at 2x leverage — especially if they are confident that this will drive up BTS against the decaying dollar +5%. BTS only needs to grow by 2.5% annually for speculators to break even. BTS grew by over 400% in March and April – before anyone even knew about the HERO or EOS or This Summer. There is virtually no difference to the risk of adding +5% to the shorter’s equation, but there is a huge difference in the potential mainstream demand for the result. We’ve been BTS-wise and bitAsset-foolish… until now. How do BitShares smartcoins work? Borrow works like this, as depicted in the very cheesy diagram below. A BTS holder commits some of his BTS to be locked away in a collateral smart contract, and then receives some brand-spankin-new HERO in return. This person is the free to sell the HERO. Typically, you would borrow HERO when you think that HERO is overpriced in the market (or when you think BTS is underpriced), hoping that the price of HERO will drop (or BTS will rise) and you’ll be able to buy back the HERO you previously sold (i.e., sell back the BTS you traded it for) and recoup your investment. The second part of the mechanism, “Settlement,” works like this (in a more complicated way, but you’ll get the idea here). Again, I have a probably-unhelpful diagram to help out. Do note that the diagram is extremely oversimplified. Recall our original BTS holder who borrowed the HERO into existence; that person owes a “debt” of HERO to the network. Anyone who owns HERO can “call in that debt” whenever they like. This is called “Settling.” If the HERO holder chooses to settle, this means they want to trade their HERO for an equivalent amount of BTS. Those BTS tokens are always available, since the people who created HERO in the first place locked them away as collateral. So when a HERO holder requests settlement, the network goes and finds the HERO borrower with the least collateral, erases part of their debt, and gives part of their BTS collateral to the person requesting settlement. So who pays the interest, and can they get out of it? The people who originally borrow the HERO into existence are the ones who are solely on the hook to pay the interest. But there is an important catch in here: Strictly speaking, they have no obligation to pay the interest itself; they merely have to support a minimum price for HERO tokens. There is no maximum price for HERO tokens! Consider this scenario: suppose that HERO trades consistently at double its feed price. That is, double its minimum price. Its minimum price corresponds to an annual appreciation of 5%; double its minimum price corresponds to annual appreciation of only 2.5%. This presents a very interesting strategic problem. If a BTS holder sees a smartcoin trading at double its feed price, they will be sorely tempted to borrow some and sell it. They’ve been trained to believe that smartcoins are “supposed to” trade right at their feed price; if they see one double the feed, they’ll think that it’s likely to lose 50% of its value soon and will want to short sell it. On the other hand, if I see an asset that appreciates at a consistent 2.5% annually, I’ll be sorely tempted to buy it. Good luck getting that from a bank account (except, of course, LMCU Max Checking)! The other interesting complication is that settlement only happens at the feed price (margin calls happen at a higher price, but not typically 2x higher). This means that if I buy HERO expecting a 2.5% return because it’s trading at double the feed, I’ll only get this from appreciation; I can’t actually get it through settlement. Will this reduce the buying pressure? Probably, but only time will tell. Then what is a fair price for HERO? So what should we expect a fair price to be? That’s very uncertain! The only thing I can say that I believe for sure is that HERO will trade on average above its feed price, so that it pays less than 5% interest. It’s going to be a fascinating experiment! I am so excited to be a part of this! What a revolutionary idea. I think we’ve all seen the power of Farmville, one of the least entertaining games in history. So I think this “gamification” of distribution will be epic.